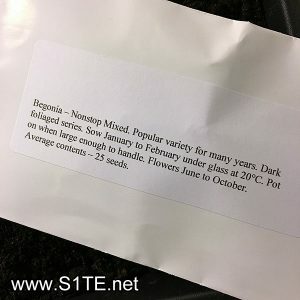 / All Articles / Growing Begonias from Seed Helpful Guide & How to Tips? A helpful guide from me a chap who grows plants, fruit and veg from seed as a hobby in Leicester in the United Kingdom. 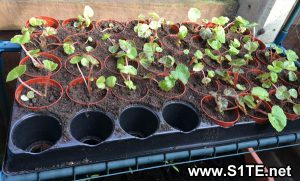 Firstly you will need to pour your seed / cutting compost into the clean seed tray, the compost should be fine as the begonia seeds are tiny. Only fill it half the way as you will need to cover the small seeds with a sprinkling of compost after you have scattered them on. 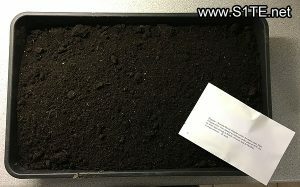 Undo your begonia plant seeds from their packet and place on the top of the seed compost making sure they are evenly spaced, I planted 25 to this seed tray. Once you have placed your seeds onto the compost, simply and lightly cover them over with the remaining compost. 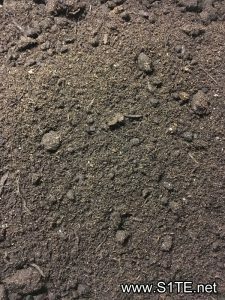 Only do this lightly as the seeds will need some light to start germination. 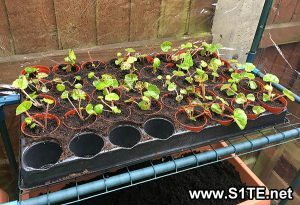 Next simply water them in very lightly with a fine water spray, I used a hair spray watering can as not to wash the seeds away or blow off the top soil above the seeds. Germination of begonia seeds should start around 14 days, these are the seeds I have planted for this year. Begonia NonStop Mixed colours. Growing Carrots in Containers or Pots / How To Guide & Tips?